The Hanoi Department of Transport has requested Uber and Grab report on their revenues and the number of cars and drivers. Director of the Hanoi Department of Transport Vu Van Vien recently signed a document requesting firms which transport passengers, including Uber and Grab, to provide the information. The companies will have to report their revenues, the number of cars and drivers as well as their measures to ensure traffic safety to the department before October 30 this year. The Hanoi Taxi Association said that the number of Uber and Grab taxis has reached 50,000 nationwide, including around 25,000 in Hanoi. They claimed that this had added more pressure to traffic jams to the city. Meanwhile, the HCM City Transport Department has licensed around 24,000 Uber and Grab cars as of September, raising the total vehicles offering lifts in the city to 35,000 to date, double the planned number for 2020. The Hanoi Taxi Association has proposed to the Ministry of Transport to stop the pilot operations of Uber and Grab. 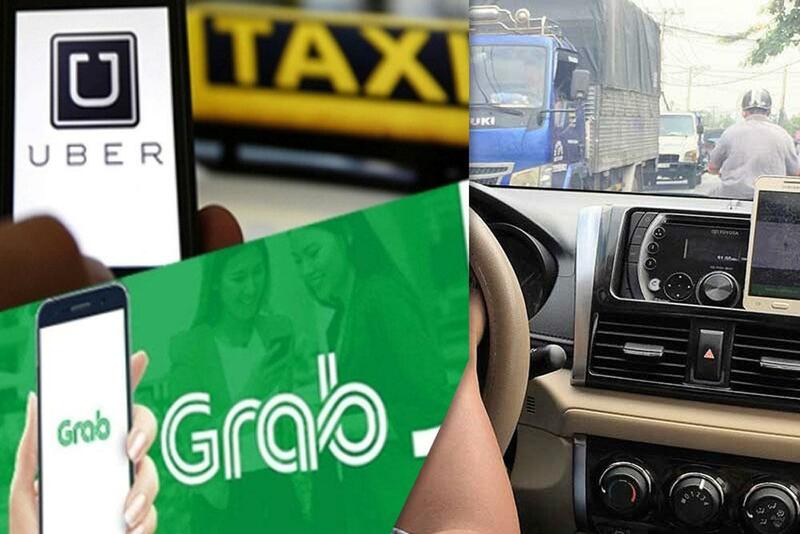 However, the ministry opposed this, saying that Uber and Grab are not breaking competition rules. Vinasun taxis in HCM City used decals to oppose Uber and Grab, urging management authorities to stop their operation in Vietnam. Deputy Minister of Industry and Trade Do Thang Hai said that the ministry had instructed the Competition Management Board to investigate to see whether Vinasun had violated the competition law or not.